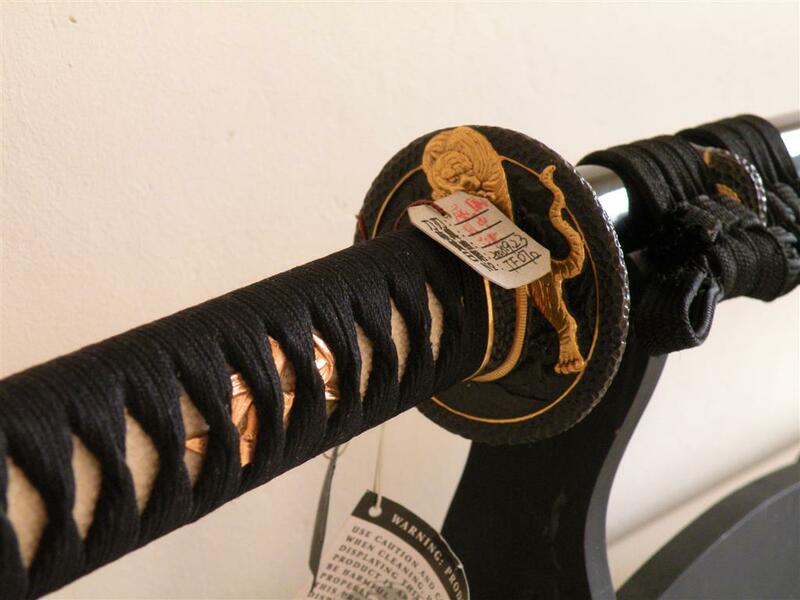 In the past few years there has been a growing interest in the world of Japannse katana, and increasing affluence has allowed this interest to be realized in the purchase of a blade by ever greater numbers of enthusiasts, especially swords coming from traditional swordsmiths. This, in turn, has spawned an immense industry of purveyors and manufacturers of swords who have churned out a wide range of blades from the (we hope) obviously inferior to the passably acceptable from a collector’s viewpoint. As a reference point, they may serve a useful role: perhaps, it is only when we have experience of the mediocre that we can truly appreciate the exceptional. Drink vinegar or ordinary table wine before you taste a vintage and the difference is obvious. And thus it is with an authentic Japanese katana. For a Japanese tosho or swordsmith, the process of creating a sword is not supposed to be merely the mechanical act of beating out a form, a shape that will serve a particular function, it is the desire to have each piece reach as close to perfection or, rather, an artistic vision, as possible. His goal is to express in his sword the finest combination of functionality and artistry that he is capable of achieving. At least, that is the received perspective. But is it an accurate description of the 21st century smith? Is it realistic? We would like to think that despite all the temptations, distractions and impediments along the way to becoming a smith, it still is. Of particular importance to the Japanese swordsmith is the fact that he is not producing in isolation. He will not be judged merely on what his peers or superiors are doing, but also on what has gone before for a thousand years. The works of superb smiths from other centuries are always a reminder of what has been done, and thus a gauge for what must be done. This is a truly demanding set of criteria and is a sharp and constant spur to keep standards high. 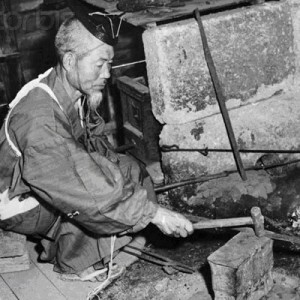 We are not surprised to learn then that the sword-smith at the higher rungs of his profession pours his heart and soul in the making of a blade and that even in Japan today there are only some 250 registered katana swordsmiths of whom only a much smaller number are considered to be within that top echelon. It is certainly no quick or easy route to making a living – not when you remember that the young swordsmith will, as likely as not, have taken at least seven years to apprentice just to begin his career. Even if they are able to produce more, swordsmiths are limited by exceptionally strict national regulations – designed to ensure the integrity of the katana – to the production of a maximum of two longswords a month. If ever there was a crimp on oversupply, this is surely – to add to the overuse of a popular expression- the mother of them all. It is not a restriction that we have heard of elsewhere. Certainly, it does not guarantee quality in and of itself, but it does prevent deterioration in standards due to a need or desire to produce quantity. Nevertheless, it is from a pool of only a few master craftsmen, who are themselves limited by decree to the amount that they may produce, that the true samurai sword emerges.